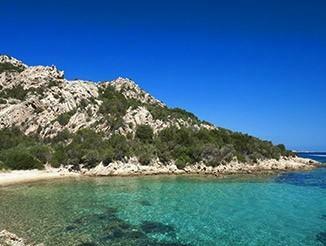 Since the late 70s the Atzeri Family has made known to the world the hidden charms of Sardinia. 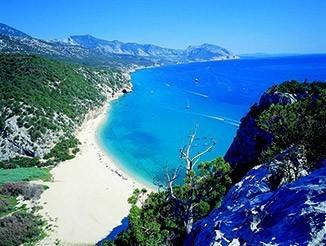 When the Sardinian tourism still was in its early phase of development, Franco Atzeri already devoted himself to finding the best that this island could offer to a niche of national and international group of travellers interested in discovering the unspoiled Sardinia. The uniqueness of the selected locations and services on offer is aimed at travellers who want to escape from the usual mass tourism, rediscovering the simplicity of nature without giving up the good service, good food and the true identity of the places they experience. Travellers who like to combine moments of cultural discovery to moments of intense relaxation. 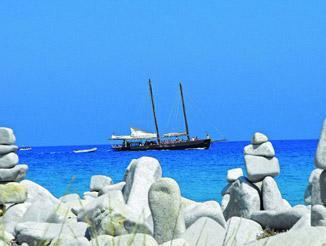 Discover now why CharmingSardinia.com is the right choice and what our clients and the press says about us. We constantly verify the quality of the selected Hotels: discover now the quality brand Selected by Charming! We’re Italian and truly proud of our land, its traditions and culture, its historic and artistic patrimony, and its never ending scenic beauties. So we’re fanatic about authentic Made in Italy, and everything that goes to boost knowledge of Italy throughout the world. To offer the best of Italy’s products, we need to give ear to the numberless specialities marking each region. That’s why we have created a network of specialised sites on the single regions of the Bel Paese. Excellent cuisine, able to enhance local tastes and flavours and Italian traditions. But our aim was not simply to provide a list of the best Hotels and Villas in each region – our aim was to provide – based on the needs of each single traveller – a complete Charming Experience, able to ensure full appreciation of the Destination chosen. That’s why we have completed the hotel offer with a series of unique, unforgettable local experiences. Our work, our passion is dedicated to all “Italian Lovers” wherever they may be; to all those who appreciate the special nature of our country and intend living it for the first time or repeating a previous unforgettable experience; to all those, in love with the Bel Paese, who wish to discover, vacation after vacation, a different Italian Experience. Charming Travellers are “experience” hunters who appreciate the small typical residences able to offer authentic hospitality, not based on trite formulas or ‘chain’ standards, but paying just the right attention to the quality of services provided. A hotel stay is not the aim of a vacation, but rather the starting point of a journey to the discovery of local culture, traditions, cuisine and beauty spots. To become a reference point for all international travellers seeking an authentic Italian Experience to be savoured during their next vacation. Persons – We aim at ongoing training and enhancement of personnel skills, staff acting as proud ambassadors of Made in Italy, only too happy to accompany visitors from all over the world to the discovery of the Bel Paese. Partners – We collaborate only with the best local partners, setting up contacts of respect and esteem in the name of authentic Italian hospitality. Culture – The awareness of living in one of the most beautiful countries in the world motivates us to make these beauties increasingly accessible, so that our nature and cultural heritage may become global, be preserved and handed down to later generations.